Now sales are the lifeblood of any business. Quite simply a business with no sales will have no income. A business with no income will not survive. Now you may say, oh what about the Facebooks and googles of the world. Yes, they start with no income but the reason they survived and become so large is because they figured out how to do it. You look at a business like twitter. Twitter does actually, actually have income. But there’s not a lot of scope for increasing it. And so it isn’t as popular as others. Where they have scope for increasing sales. So how do you go about doing it? Well, basically there are only 3 ways to increase sales. Alright. To increase sales turnover, the total, or sales totals, the total amount. And first of all, you can get more customers, alright. Now we are not talking about that today. That’s, that’s another one. There are easier ways. The second way is to increase the amount your customers spend each time they buy from you. And yes that includes things like putting out prices. Things like that. That is one option but that’s not necessarily what we are going to talk about today. And the other way is to increase the frequency of their purchases. So if they buy 3 times a year or, if they buy 4 times a year, obviously it’s more. 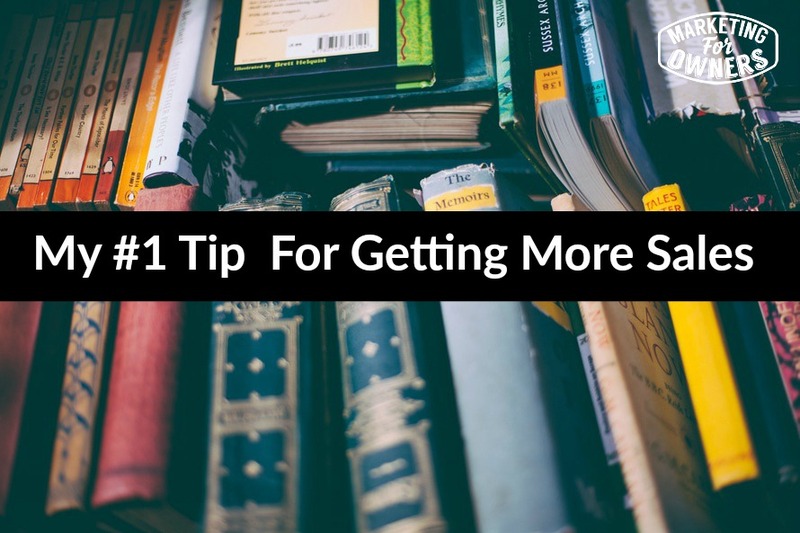 Now the number 1 trick for me is to get more sales from your existing customers. And the reason I say that slowly is to allow it to sink in a bit. Because when most people talk about increasing sales, they are thinking of going out and getting new customers. But the diamonds are in your backyard. That’s a whole story, if you haven’t heard that story, it’s a great one, google it. Diamonds in your backyard. It’s lovely. Fable. But you have customers. Okay, I’m going to assume you have customers. Now no matter who they are, what they are, you will have all types of customers. You’ll have ones that annoy you, you’ll have ones that spend twice as much as everyone else. You might have one customer who accounts for half of your business. By the way, I don’t advise relying on that, because when they change their mind, things get a bit sticky. But, and you have some that hardly spend any money and they moan all the time. And you have others that are great. Everyone has their say. But to put it simply, they have already gone through the know like and trust process with you. They trust you. They buy from you, they trust you enough to take out their credit card or their checkbook and to give you money for your products or services. So it is much much much easier to sell more to them then to go and find some new customers. Alright. That don’t know you. Haven’t trusted you, and etc… With existing ones, you don’t have to pay for advertising. You don’t have to offer free trials. All those things. You just need to sell them more. Now, first of all, we did mention that you can increase what you call the average order size, the basket size. But again that’s not the point here. You just need to sell to them more often to sell more stuff to them. It’s as simple as that. So to increase the amount each of them spends over a year, and frequency, extra products, whatever it is. Now how do you that? Well firstly with communication. Your customers are in addition to being the income. They are a fantastic source of knowledge. And one of the things that lot of people are scared of is talking to customers and usually when I speak to people, the reason that everyone’s scared of talking to them is, apart from the general, I don’t know them, I’m, you know what would I talk about, is what if they tell me they don’t like us. Or they have complaints. Well, let me assure you, if they have complaints, the likelihood is they would have already told you. Another likelihood is they would no longer be buying from you. Another likelihood is that they would have told everyone else and you would have heard back. If, if they have kept quiet about it, then that’s not a good thing. Because if they have not told you. But they have a complaint. It’s still in their mind. It is the same. And until it comes out in the open, it’s not going to help your business, is it? But don’t be scared. This is the reason we are talking about selling more to existing customers because they like you. They are existing customers. If they are an ex-customer, what can you offer them? Easier said than done. If you are a plumber or if you are an accountant, what more can you offer them? Well, ask them. Ask them what more they want from you? Let me explain. You need to survey them. But I mean survey them for real. Now, of course, you may have reps or people that visit or delivery drivers, or you yourself may deal with clients, you may even visit them. But why don’t you pick your top 10? Figure out who are the top 10, you should know this anyway because the top 10s are the ones you do not want to go anywhere else. Phone them and say, ‘Hey I need your help. Would you, do you mind spare me a few minutes.’ alright. Everybody loves to help someone else. If you want them to do something for you, if you make it sound like they are going to do something for you, you put them off. If you ask for their help, they are interested. And say, ‘I just want to ask you some questions about my business. Because I want to make some changes. And as you are one of my top customers, I just like, just a bit of help from you. Get a definitive yes or no. but for those 10, you are going to get 7 or 8 of them, that are going to be fine with it. I mean if you’re type of service that you visit them every so often, you can say, ‘When I am next in, can I pop in?’ You know don’t even make a commitment. When I’m next in, when I next see you. Can I spare, can I just talk about this and I’ll explain a bit more then. Don’t add the, don’t worry it’s not a sales call and that kind of stuff. Because then people think it is. And when you go and see them, you are going to ask them questions about your industry. Alright. Again don’t make it about you, and about your business. So what you want to know are, what about my industry? Do you, annoys you, sort of frustrates you? And then, things like that. So get a couple of questions there. Explain that you are trying to improve the service, what annoys you, and everyone seems to offer the sam. And you just want to stand out a bit more and you want to be more customer friendly, customer focused rather than giving people what they, what you think they want. You want to give people what they really want. And then, talk about the industry and then move it over to your business and say what do we do that is great? What’s your favorite thing about what we do? Just what is the one thing? It could be the price or anything. But let them decide. And then what do we, what’s the most annoying thing about us? And again it’s usually going to be, ‘Oh you know you don’t give us long enough credit or you chase us out for bills. Or we always have to chase you for…’ You know, something ridiculous like that. And then say what, what do you think, what else would you like us to offer. What else would you like us to do? How, how else can my business help improve your business? Now that’s what they are after. Remember make it about them. How can my business help your business improve? And get a conversation. And then you can create that and offer them. Because you can end up in the end and say, how much would you prepare to pay for that? And then you’ve got it. And if it works for the top ones, it will work for others. That is the tip. Sell more stuff to your existing customers. Simple as that. 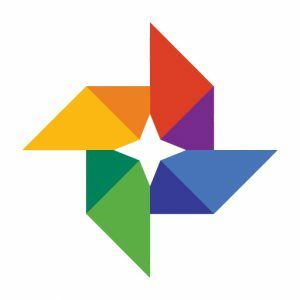 Use google photos. As soon as you install it, It’s a free app, It will sync all your photos when you are on Wi-Fi and all your videos, all for free. Unlimited go for it. And by the way, tomorrow’s interview is Joel Comm. My favorite interview so far. Be there or be square. See you soon.